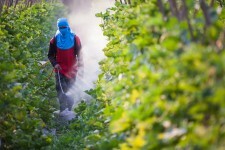 The pesticide methyl bromide has been largely phased out of use in the United States, except for critical-use exemptions, because it is known to cause serious and potentially fatal injuries with both acute and chronic exposure. A story of a poisoning last year reaffirms why. During a visit to the U.S. Virgin Islands a family of four, parents and two teenage sons from Delaware, became critically ill after being exposed to the gas during a fumigation taking place in the room below theirs. Methyl bromide is an odorless and colorless gas at room temperature and it primarily occurs in nature—it is naturally produced by algae or kelp and the ocean serves as both a source and a sink for the molecule. Despite its abundance in nature, the chemical is not harmless, and has been banned for most indoor applications since 1984. 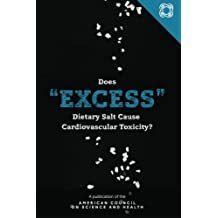 The reason for its toxicity is that it is well-absorbed after being inhaled, and it is then distributed to many organs, including the lungs, kidneys and brain. It can cross the blood-brain barrier and affect the central nervous system. (1) Given the toxicity profile for methyl bromide, it makes one wonder why any company would use it today around humans without careful supervision. Yet Terminix, one of the largest pest control companies in the world (operating in 47 states and 11 countries) was accused of just that kind of negligence when employees fumigated the resort property where the family was staying, using it in a manner that was woefully lacking in proper safety measures and illegal as well. Terminix knew its employees were so obviously at fault that the company settled immediately for $10 million in fines, community service expenses and restitution for the family. Some critics say the real problem is lax oversight at the Department of Planning and Natural Resources in the Virgin Islands, and by the U.S. Environmental Protection Agency. "EPA really needs to take the leadership on this, look at the mistakes that have happened here," said Joe Williamson, former director of the US Virgin Islands Pesticide Safety Education Program, in speaking with CNN. "And the very most important thing for them to do is to quit allowing methyl bromide and these other fumigants to be available to just about anybody with the certification card." The adverse effects of methyl bromide exposure in humans and animals have been known for decades. It seems obvious that there was gross negligence on the part of Terminix employees when using the pesticide indoors when people were present. Terminix has since voluntarily ceased all use of methyl bromide in the U.S. and territories, except for one remaining supervised government contract where it is deemed essential. “The facts in this case show the Terminix companies knowingly failed to properly manage their pest control operations in the U.S. Virgin Islands, allowing pesticides containing methyl bromide to be applied illegally and exposing a family of four to profoundly debilitating injuries,” stated Assistant Attorney General John C. Cruden for the Justice Department’s Environment and Natural Resources Division. (1) Acute toxicity is primarily inhalational or skin exposure, which can lead to pulmonary edema, congestion and hemorrhage. At low-level inhalational exposure, signs of systemic poisoning may develop. Irritation of the skin can result in blistering, contact dermatitis or hyperpigmentation (darkening) of the skin when in contact with trapped gas in gloves, boots or clothing. Corneal burns from irritation of the eyes, damage of the kidney’s filters, liver damage as well as headaches, anorexia, nausea, vomiting, visual disturbances, fluctuations in body temperature and malaise. If MB is ingested, it is extremely lethal. Other systemic effects which may manifest 30 minutes to 48 hours post-exposure are mainly neurologic: seizures, myoclonus, tremors, peripheral neuropathy, ataxia (unstable gait), vertigo, respiratory paralysis, and cerebral edema. Toxicity may be suspected based on clinical history of exposure or by checking bromide ion levels in the urine. MB has a short half-life and rapidly becomes undetectable as it is quickly metabolized.